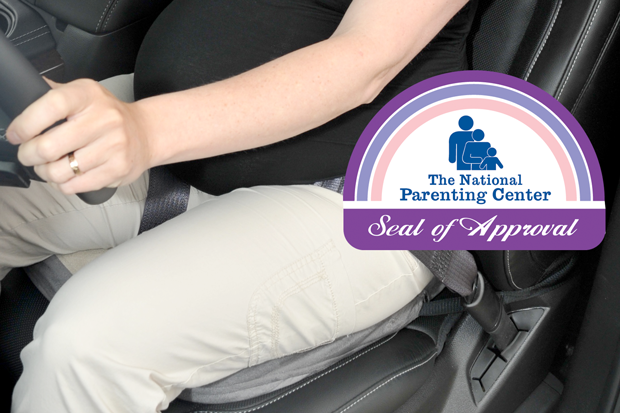 Award-winning Tummy Shield, a pregnancy seat belt positioning device, receives Seal of Approval from the National Parenting Center. The already award-winning Tummy Shield receives a Seal of Approval from the National Parenting Center. “We’re proud that the Tummy Shield is being recognized by an organization whose mission is ‘to create better informed parents as they tackle the challenges and enjoy the many rewards of parenting,’” said Greg Durocher, CEO of Safe Ride 4 Kids, the company that brings the Tummy Shield to the US. The National Parenting Center's Seal of Approval program identifies the finest products and services being marketed to the parent/child audience. To receive a Seal of Approval the product must go through a multi-step process whereby a committee of parent, children and educator testers examine and use each product to judge quality. The award signifies to other parents that their peers have acknowledged a product's quality and desirability based on a wide variety of determining factors. The Tummy Shield is designed to be a way to use the vehicle’s seat belt with increased comfort and safety for a pregnant woman. It is a maternity seatbelt positioning device which sits underneath a woman while driving and provides a seat belt repositioning hook made of tensile strength stainless steel, moving the belt down away from the belly to wrap the upper thighs instead. Durocher says, "Most women find themselves pulling the lap portion of the seat belt down and holding it with their thumb or worse, not wearing a seat belt at all!" The invention of the Tummy Shield has revolutionized the way pregnant women can ride in cars with comfort, safety and peace of mind knowing that they, and their babies, are more safely protected. Studies show an estimated 3,000 pregnancies are lost every year from car crashes. The Tummy Shield has gone through extensive product testing and crash testing to ensure it will help protect unborn children from automobile related trauma. "Doctors tell women to never place the belt over the abdomen but should be placed low and snug over the pelvis. The problem with this is constant movement up and over the belly creating frustration and irritation for the mom and is a distraction while driving. The Tummy Shield redirects the belt away from the pregnant mothers abdomen comfortably and without distraction," says Durocher. The Tummy Shield also received a Parent Tested Parent Approved award, a Mom’s Choice Gold award and a Baby Maternity Magazine’s Top Choice award for Travel Safety Product.